Different terms are used for the consumables. 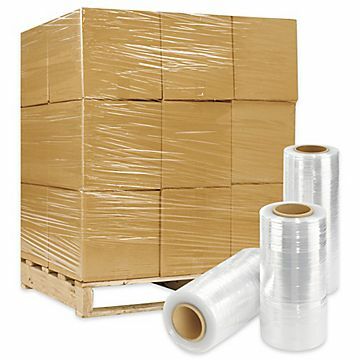 The most commonly used terms are wrapping film, stretch film or elastic film. We use the term wrapping film. There are two 'categories' of wrapping film, namely blown and cast wrapping film. The difference between these two films lies in the production process and the properties. The most commonly used rolls of wrapping film are the rolls of 50 cm wide and are available as hand rolls or machine rolls. Please see below for our range of wrapping film.